We are grateful to be blessed with a new thirty foot yurt which enables us to serve more people. Here you'll find the awesome education events planned for 2019. A new take on Ancient Wisdom for Modern Women is being offered one Saturday a month. The Holistic Orchard Intensive with Michael in early June awaits those wanting an immersion into everything apple. Andrea Thibaudeau and others will join Nancy to make this year's Radiant Women Weekends inspiring and unforgettable. 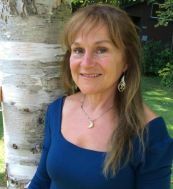 And Rocío Alarcón will be guiding a special Healing the Healers retreat over three days to recharge, nurture and heal the kindred spirits that are being called by their hearts to join us. Stay tuned for even more excitement next year! Join us for these unforgettable weekends designed to inspire, nurture, educate, and replenish you. Connect with kindred spirits and your own natural rhythms through yoga, Ayurveda, meditation, song, herbal garden and woodland walks, and the teachings of our honored mentors. The heart of the retreats will be to explore and incorporate practices into our lives to nourish, love, and heal ourselves so we are more able to nurture, heal, and be of service to others (including Mother Earth). Nancy and our incredible guest teachers are sure to make each weekend nourishing, healing, and empowering. "May I be at peace. May my heart remain open. May I awaken to my own true nature. May I be healed. May I be a source of healing for all beings." We are thrilled to have yoga mentor and inspiring friend for this first radiance weekend. We'll weave meditation, art, and ceremony together to plant seeds of loving kindness for ourselves and others. Andrea will lead us through a variety of yoga and healing practices that will help us shine up our inner and outer radiance. Her teachings are a powerful tool that helps transform the blocks and patterns that hold us back from accessing the freedom and joy possible. What an honor to have dear friend and herbal mentor here for this summer weekend! 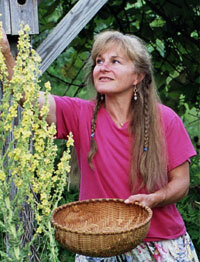 One of the most beloved herbalists in the world, Rosemary Gladstar has been practicing, living, learning, teaching and writing about herbs for over 40 years. Anyone coming to the retreat will be inspired and no doubt entertained and empowered by her wisdom, charm, and grace! Together we will cleanse, strengthen, and empower ourselves so we can go back to our families, our communities and be a force for good in our world! What a great pleasure and honor to host Rocío, sister of the heart, here at Heartsong Farm! 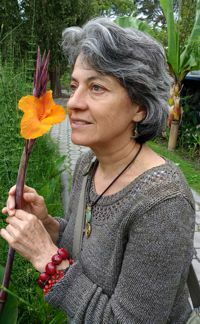 Powerful teacher, ethno-botanist, and skillful healer, Rocío Alarcón brings the indigenous wisdom of the Andes Mountains and the tropical rainforest of Ecuador. Rocío offers the gift of using simple but powerful rituals incorporating the healing power of the plants into our daily lives and for special healing ceremonies. All are welcome, and we especially invite the healers that have studied with Rocío before and have a longing to take their learning deeper. We will use the rituals and ceremonies to heal ourselves, each other, and bless and heal our earth. We welcome you to join kindred spirits on a green adventure that will immerse your heart, mind, and soul in the holistic art and science of herbal medicine. This seven month course taught on our working farm is for anyone wanting to use herbs for health and well-being. The program will provide you with the practical skills necessary to become a home herbalist and set the foundation for those that aspire to become herbal practitioners. We'll meet one weekend a month through the main growing season, so you can learn from the plants as they flow through the seasons. Please contact Nancy to reserve your place in our 2019 program as this year is already underway. This 'organic apple everything' weekend with Michael Phillips at the farm inspires people to pursue their own orchard dreams. 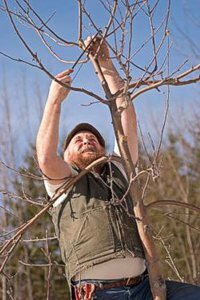 Come gain the practical insights needed to establish your own fruit planting based on the biological systems approach used here at Lost Nation Orchard.